There are those windows again that go all the way to the floor. 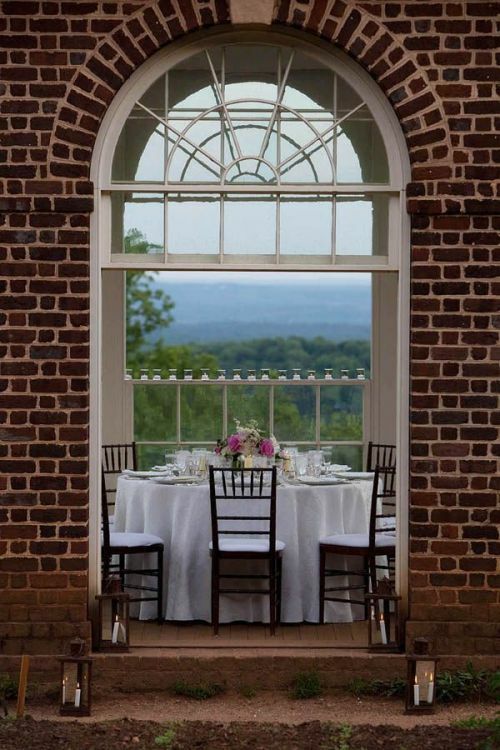 I love the caption on this photo I found for you this evening: "FOR THE LOVE OF MONTICELLO Thank you, Thomas Jefferson, for understanding that contrary to modern American sentiment - size does NOT matter, and that a single room garden pavilion can bring you to your knees." Well said. Love love love those triple-hung windows that function kind of like French doors....but take up no space! LOVE!!! the landscape designer Deborah Nevins uses them! LOVE!!!! I've never been to Monticello but this looks so inviting. I have this great idea, why don't you come for a weekend visit and I'll take you to see Monticello, you would love it. Stunning setting and such a beautiful home with the best vegetable garden ever. Peas were Jefferson's favorite vegetable. T Jefferson and John Adams both died on the same day, July 4, 1826, so appropriate don't you think?